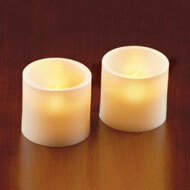 Capture the soft glow and warm feel of a flickering flame with candles and candle holders from Collections Etc. We specialize in offering decorative home accents that bring something extra-special to your space, whether it be in the windowsill during the holidays or on the mantel year-round, and we’re sure you’ll discover a candle here that ignites your creativity and sparks a flame. From floating flameless candles and LED pillars to solar-powered candlesticks, this variety will inspire you to light up your home with a soft glow. We have a wonderful variety of flameless candles perfect for helping you recreate the special feel of real fire without the worry. 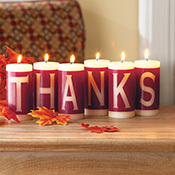 Find a flameless candle decoration that complements your home’s unique decor style or opt for something that brings your event scheme to life and helps you achieve a certain aesthetic without breaking any venue rules. Whether you dream of a floating LED candle for your one-of-a-kind centerpiece or a special memorial pillar candle that reminds you of a lost loved one, there’s something here that will surely speak to you. 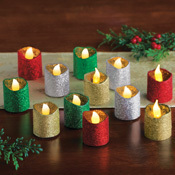 Realistic flameless candles come in all the traditional options, including tea lights, tapers, pillars and votives. 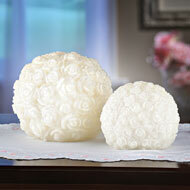 Create a sweet, inviting or romantic environment when you pepper pretty candles throughout your space. If you’ve already got a stash of traditional or flame-free candles, be sure to browse our assortment of decorative candle holders. Complement any decor scheme with these good-looking yet functional home accents, including your rustic, woodland, country or traditional style. We also have a festive array of holiday candles and decorative holders here at Collections Etc., all of which are utterly ideal for creating an enchanting holiday wonderland inside your home.